I’ve been over this topic before in previous blog posts. The how can I travel when I have a limited amount of time issue? Or how can I see everything in such a short amount of time? I think there are two ways you can travel - spend a ton of time in each place really exploring every aspect of the culture or only get a taste of each location. This post is definitely about the latter. In all honesty, the latter is mostly how I tend to plan my trips. Who really has the time to spend weeks or even months on end in one location? The issue I usually have is that there is just so much to see in the world. I would rather sacrifice some of the time I can to spend in a single place and instead see way more in that period. Does anyone else have that problem? 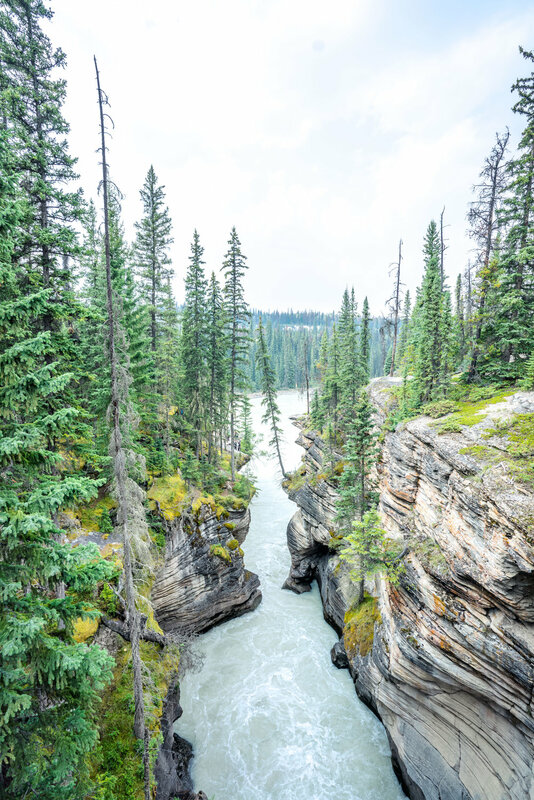 Did you know that there were 3 Canadian National Parks all within a few hours of each other in the Alberta province? Ok, Yoho is technically part of the British Columbia province, however, since it is right on the border, it’s easy to mistake it for Alberta. Most people only think of Banff when they think of the Canadian Rockies probably because it’s more prevalent on social media. Jasper National Park is about three and a half hours from Banff town. Or only three hours from Lake Louise. Yoho is just an hour from Banff. Sidenote: most people also don’t realize that Banff is pretty spaced apart. A rental car is completely necessary on any trip around the Canadian Rockies. Firstly because it is over an hour drive just from Calgary (where the airport is) to Banff town. I say Banff town because the town isn’t necessarily all of the lakes are. Lake Louise is a good half hour from the town. This Canadian Rockies tour is perfect for a long weekend away. I’ll give you a breakdown of all of the logistics to make this 4-day trip a success. Best part is, if you have a 9-5 weekday job, you could book this trip while only requesting one day off. Travel: This is going to be your travel day. If you can’t get any time off, grab a late flight out and fly into Calgary (YYC) International Airport. Lodging: I would suggest staying as far to the west of Calgary as you can find. It will save you a good 20-30 minutes in the morning. I’ve stayed in both the city and the western end. If you want check out Calgary in the morning then definitely stay in the city. You can check out my guide to Calgary, here. Otherwise, if you’re crazy like me, and want to try to catch the sunrise somewhere in Banff the option is your best bet. 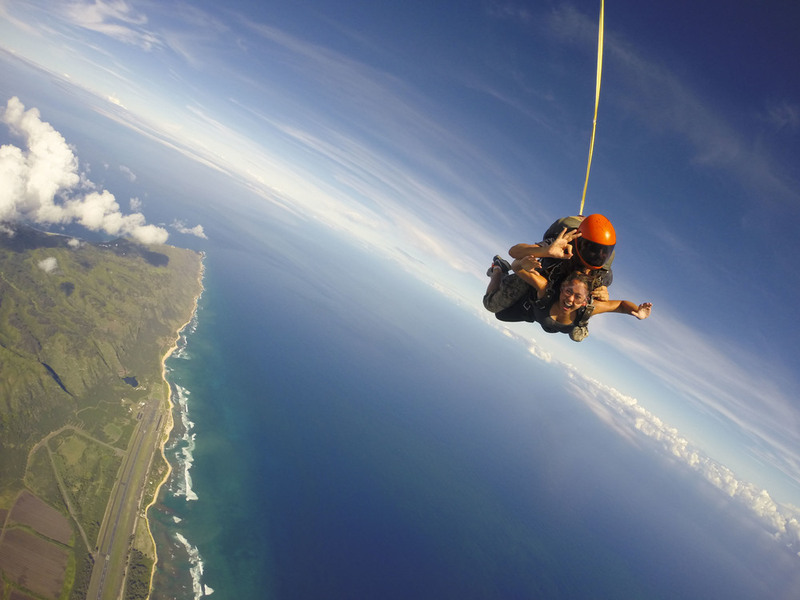 You’ll have a bit longer of a drive after leaving the airport, but I’d say its worth it. We found a cozy Airbnb for just $20/each for the night. Plan: Drive to Banff for the morning, then head to Jasper. Lodging: Grab a room in Jasper town or do like we did and camp out in your car at Maligne Lake for a sunrise paddle to Spirit Island. I’ll save that story for another blog post. If you’re up early and want your first experience in Banff to be around the least amount of people, head straight to Lake Moraine. From west Calgary, it’s about a two hour drive. If you arrive at Lake Moraine well before 8am, you should be met with a tourist free experience. Also, if you arrive early, you may be able to park in the parking lot directly at Lake Moraine and avoid having to park far and wait for a shuttle. If the road to park at Lake Moraine is closed, don’t worry. This happened to us and we just waited for a five minutes in the narrow lot across from the intersection until some cars left and the park workers motioned for more cars to enter. I would highly recommend climbing up the rocks on the left when walking toward the lake from the parking lot. You can get a much better vantage point and hopefully avoid some people in the process. Bring your hiking shoes today. Grab some lunch before heading on the Icefields Parkway on the way to Jasper National Park. This scenic drive is incredibly beautiful but stops to gas up or grab food are few and far between. You may have the urge stop along the way to grab photos. 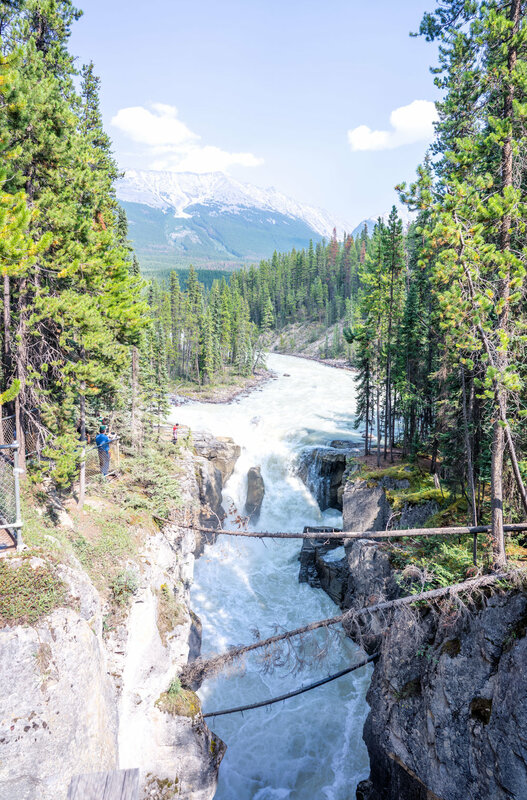 About twenty minutes outside of the town of Jasper, you’ll find Sunwapta Falls and Athabasca Falls. Both of these stops can be quick as they’re pretty fenced off and have designated viewing points just off of the parking lots. They are also located right near each other. The drive from the town to Maligne Lake is a little over an hour. You should have plenty of time on this schedule to head here for a beautiful sunset. Plan: Explore Jasper for the morning, then head back through Banff to Yoho. Lodging: You have two options for locations of lodging. You can stay closer to Lake Louise or you can venture into British Columbia. Both are within a half hour of each other. We stayed in a beautiful cabin in BC and had no problem with drive time. Read about our cabin, here. You can spend the morning exploring Jasper or grabbing a boat tour to see Spirit Island. After a morning spent exploring, you’ll want to get set for another long drive. This time heading back to Yoho National Park. Yes, it does seem like a daunting task, driving back and forth, but what road trip isn’t tiring? In the end, I was so glad I was able to fit in so many destinations in such a short time despite the long car times. Once you’ve driven back into Banff, we took the time to check into our lodging for the night and relax for a couple of hours before heading out again. One of the best parts about being further north is that the sunsets are much later or least in the summer they are. With the sun not setting until around 9pm, we had plenty of time to drive around and take our time at each stop. Because of this, we were able to spend some time in the early evening exploring around Emerald Lake in Yoho. Tip: It seemed most of the busy tourist times were in the morning and afternoon. By the early evening, people headed to dinner or their hotels leaving the lakes virtually empty. I guess not as people take advantage of the late daylight! Plan: Explore Banff and head back toward Calgary. Start early and head to Lake Louise today. Even though Lake Louise and Lake Moraine are located just minutes from each other, I would suggest splitting up visiting these destinations into two days if you can. If you go to one early morning, by the time you’re ready to visit the next, it will undoubtedly be crowded and overrun with tourists already. You can of course switch it up and visit Lake Louise first and swap out today to visit Lake Moraine. Lake Louise has much more parking than Louise. There’s an overflow lot for the overflow lot. That being said, this lake is much more of laid back walk around the lake, type of lake. Unless you’re planning to hike up to the Lake Agnes Tea House, this can be a quicker stop. After Lake Louise, head over to Peyto Lake, which is technically Bow Summit. When you visit, you don’t actually go down to the lake, its more a view point from afar from Bow Summit. It’s just a short fifteen minute hike up a paved street to the first view point. Feel free to explore Banff as you want here, while making your way toward Calgary. I’d recommend Lake Minnewanka or Vermillion Lakes. 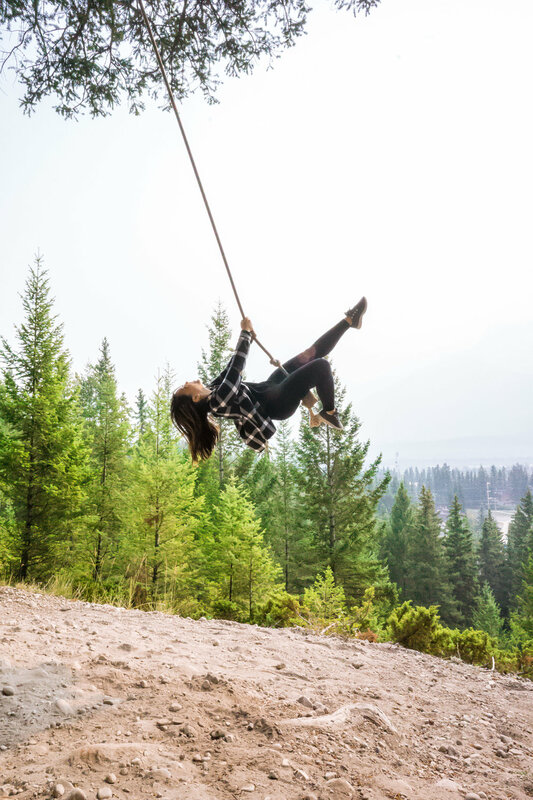 As you pass through Canmore, grab a few snaps at the Canmore Rope Swing which is also just minutes from an amazing poutine shop called, La Belle Patate. There are 2 options for flying home. You can find a flight late Sunday to head back home or if it works for you, find an early morning flight Monday morning. We were able to find a super early flight that landed in Los Angeles before 9am, just in time to head to work. This option is a bit risky and requires getting up extremely early but allowed us to maximize our fourth day and not have to rush to head to the airport. 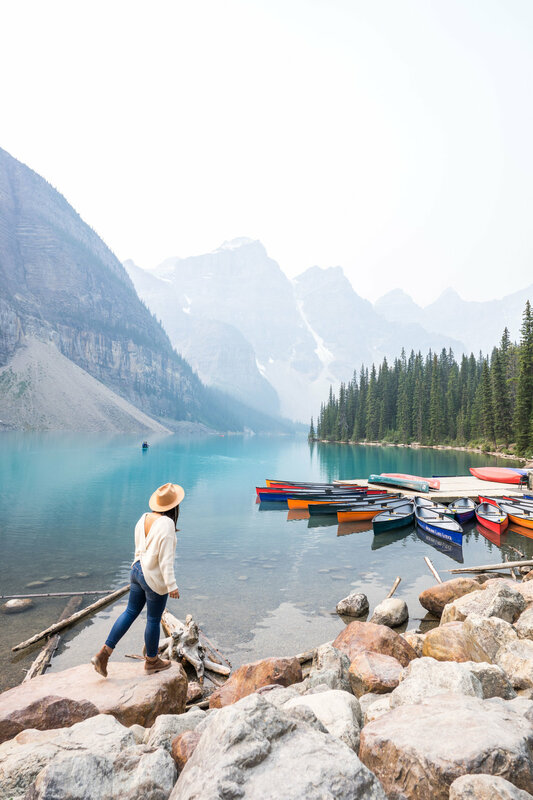 If you have time, check out these other scenic locations: Bow Lake (Banff), Vermillion Lakes (Banff), Johnston Canyon (Banff), Pyramid Lake (Jasper), Lake O’Hara (Yoho). Hope this detailed 4-day itinerary helps you plan your trip to the scenic Canadian Rockies! The colors and scenic views that Banff has to offer are world famous. Even if you’ve never heard of Banff or the province of Alberta, Canada, chances are you’ve seen pictures of these iconic turquoise blue lakes. They’re that beautiful. When I first visited Banff, these are the famous views I thought I would be witnessing, however, I mistakenly chose to visit Banff during the month of April. This is still winter, so, the lakes were actually still frozen over in ice and the ground was covered in snow. There are about 3-4 summer months during which you should visit Banff if you’re aiming to be able to see these magnificent lakes and colors. The glaciers and lakes begin to thaw mid to late May. If you plan to visit in the summer, choose sometime between May and August. If you visit in September, it’s possible you may get a glimpse of the lakes unless winter starts early and you’ll be met with snow. If you have heard of Banff before or even if these are the first photos you are seeing, you’re probably wondering how and why these lakes are the color they are. There is a very scientific explanation for this. When the rocks underneath the glacier ice shift, they grind together creating a silt or rock flour. This rock flour is very lightweight and can float in the lake for a long period of time. The sunlight reflects off the silt giving them their brilliant turquoise blue, green color. I’ve been told that if you visit the first or even second week, just after the ice thaws in May, is when the lakes are at their most vibrant. This is due to the lakes having the most floating rock flour in them. Here’s a tip: the higher your vantage point at most of the lakes, the bluer the lakes will appear. For example, at Moraine Lake, if you choose to hike up the rocky area to the left of the entrance, you will get a great view and more vibrant blue lake from above. I’m not really sure I really have to convince you to want to visit Banff. I feel like these 15 pictures might speak for themselves. Point is summer or winter, this is a bucket list worthy destination that I’m sure you will love. If you’re interested in seeing why you should visit in the winter, as well, click here. What type of accommodations do you like to stay in on your trips? It varies for me and a lot of the time it depends on the destination and costs. Sometimes the traditional hotel room or even Airbnb, isn’t always the best or most unique choice. How would you like to stay in a tree house, a yurt, a teepee or maybe even a cave? That’s where GlampingHub.com comes into play. I actually just learned about Glamping Hub. Glamping Hub allows you to book your accommodations like any other site, but they offer a unique take on where you sleep. Trust me, you want to check out all of the different types of places to lay your head at night. Do you know what glamping is? Glamping is technically the words glamorous and camping merged together. Just my kind of camping and that’s what Glamping Hub specializes in. You get that unique getaway focusing on the outdoors in a luxury way. When planning a trip to the Banff National Park area, I knew checking out what Glamping Hub had to offer was absolutely necessary. The thought of being in such vast tree forests and towering mountains, a regular hotel room didn’t sound like an enticing stay. I found an awesome cabin to stay in on Glamping Hub. It was a 3 bedroom beautiful cabin - a little extra, I know, for 2 girls to sleep, but it was really was the perfect way to embrace nature in a luxurious way. The cabin was nestled on a secluded mountainside, but offered all of the best amenities. 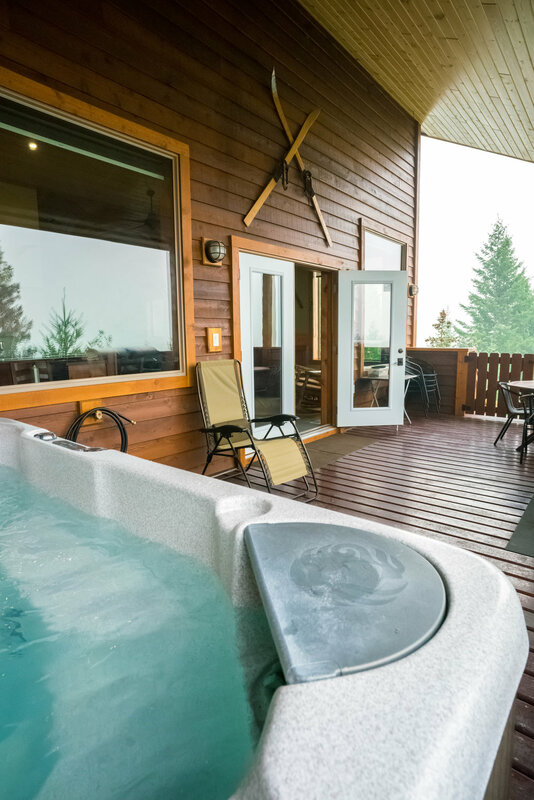 The absolute best part was the terrace patio complete with a hot tub overlooking a view of British Columbia. You best believe we spent a good portion of our night relaxing with face masks on in that hot tub, true story. It was sad, during the trip, there were almost 600 fires burning in the British Columbia area so the air quality and sky were filled with smoke. Because of this the view was not visible. All that could be seen was a white abyss. Never the less, the cabin was the perfect spot to stay. We were even 45 minutes from Yolo National Park. The cabin was one of many unique and cozy cabins located at the Cedar House Chalets. The grounds have a restaurant, too. It’s places like this gem that are more easily found using the Glamping Hub search engine. The Cabin we stayed in was called the Mountain View Chalet. How to do you find your lodging and accommodations for your trips? It’s a big part of the planning process and there are a lot of options and places to search. I highly recommend checking out GlampingHub.com to search for a fun and different place to stay on your next trip. You never what kind of gem you’ll find on there! *Sponsored Post: My stay was provided in collaboration with Glamping Hub! All opinions are my own.